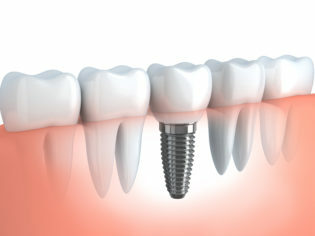 Classic Dental Smiles > Frequently Asked Questions (FAQs) > Dental Implants > How long does an implant procedure take? The total appointment time from start to finish is usually an hour. Of course, it all depends on the situation but in most cases we see, the actual procedure to place a single implant takes anywhere from 20-30 minutes. The more implants that need to be placed, the longer the procedure will be but in general, it’s much shorter than one might expect. This is why we take time to carefully plan out every phase of the procedure, to help ensure things run as smoothly as possible.